Skills & Drills clinics are on-ice hockey practices run by experienced instructor Michelle Desormeaux. These clinics are for players of all skill levels—from beginner to experienced. Whether you are hoping to improve your shot, your puck-handling, your skating—or you’re just looking for some extra time on the ice—Michelle’s clinics are perfect for you. 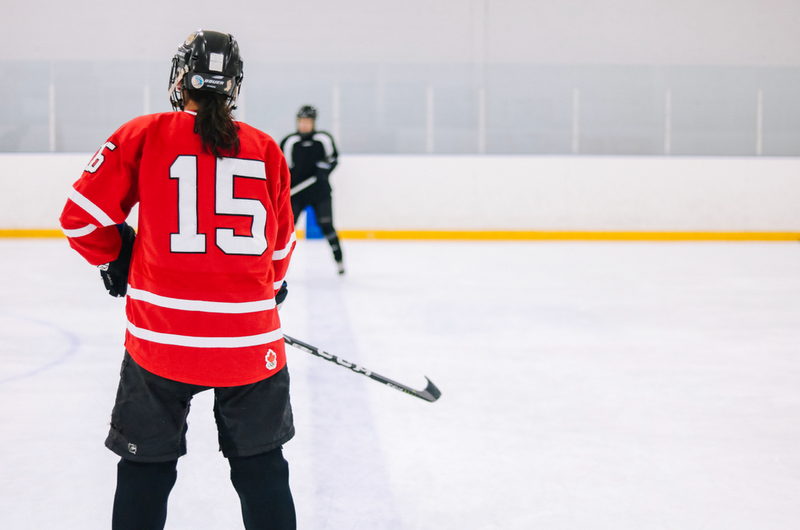 On-ice hockey practices perfect for women of all skill levels, from beginner to experienced. Practice your skills by participating in fun, dynamic drills and activities. Play games, perform drills and practice skills with your child in a no-pressure, inclusive environment. A great way to get some 1-on-1 ice time with your son or daughter. These clinics are lot of fun and are great for children of various ages—12 and under. Fun games of pick-up hockey, always with 2 goalies. A great way to practice what you learned at the clinic, or just get some extra time on the ice. You can join any skills clinic or shinny—you don’t have to join both. If clinics are full, you can put your name on the waiting list in case spots open up. Please bring a black jersey and a white jersey, if possible. Contact Michelle To Sign Up!